First questions first – Are you single or will you be moving with your family? This makes a lot of difference, because if you are young, single and on a budget, you could stay in a youth hostel as opposed to finding an apartment/townhome / detached house. Unlike Boston, South Africa is spacious, so space doesn’t come at a premium. This applies to even the major cities like Johannesburg, Cape Town, Pretoria, and Bloemfontein. 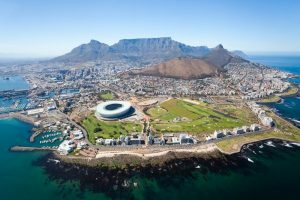 Americans generally like Cape Town because they feel it is the most beautiful city in South Africa. However, you could look at other cities, including Kimberley and Port Elizabeth for jobs. For tips on finding a job, please see the US Embassy’s site for the latest information. The Canadian Embassy’s site is also helpful. There are 11 official languages in South Africa, but Afrikaans and English are the most widely-spoken. You would do well to brush up on your knowledge of Afrikaans before you leave the United States. Roughly about 80% of South Africans are of African descent. Those of Caucasian origin make up 8%, with the remaining filled by Asians and people of other origins. South Africa is a developing country, but among the world’s leading ones, along with Brazil, India, Russia and China. You could find almost any job you want, so it only leaves you to choose where exactly in South Africa you want to move. Because of the large numbers of people moving to South Africa from around the world, the country has tightened its immigration laws. Generally speaking, work permits are granted only to people in professions where there aren’t qualified/experienced South Africans to fill in vacant positions. A lot of people who have lived in Boston are worried about whether they will get the same comforts as they are used to. Not wanting to take any risks, they pack what they consider to be necessities like Crest toothpaste and Tylenol. The truth is that anyone can get used to the local / European equivalents. The only absolute necessities are medication and diet if you have to follow a special one. This is why taking a ‘tour’ of the place beforehand is suggested before making the move. You ideally need to zero in on a city, see if there are jobs available for Americans, and then visit it instead of moving there straightaway. Depending on your time frame, it is recommended that you visit the city either in July when winter is at its peak; or in December-January when it is the hottest. Unlike the United States of America, South Africa is in the southern hemisphere, where the climate is reversed. Temperatures could be as low as 32 °F – 50 °F in the winter, or as high as 92 °F – 97 °F in the summer. With climate change, it is bound to get hotter. If you’re interested in learning more about relocation, click here.